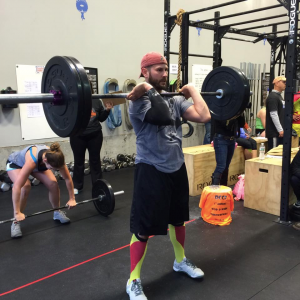 Greg graduated on-ramp with Hansom Warrior CrossFit in September 2014. He immediately became hooked and is a true testament to Col Jeff Cooper’s observation that for most “the fear of sporting failure is worse than the fear of death”. 18 months and 3 competition’s later Greg set out to achieve his CrossFit Level 1 so he could help others achieve the success he has found. 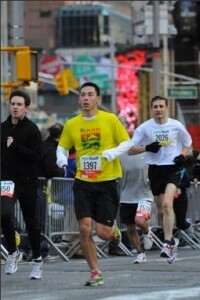 Now a coach, Greg finds the same thrill in helping others achieve, as he does hitting a new PR. You can find Greg around the gym way to early in the morning trying to convince someone to do “Linda” with him. 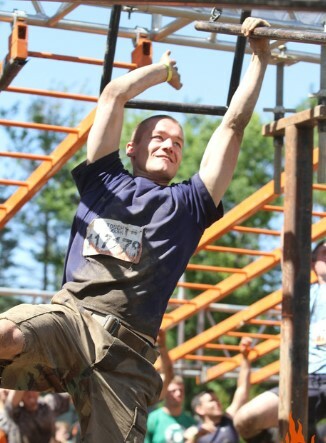 Josh has been an athlete with Hanscom Warrior Training since Jan 2013. He completed L1 certification in May 2015 and enjoys every workout, especially Olympic Weightlifting and Chippers. Eric was introduced/humbled by CrossFit when his older brother convinced him to do an easy little workout called Cindy when he was looking for something new after years of lacrosse on the high school and college level. He found CrossFit to be the perfect mix of competition and intense athleticism for a “has been” athlete like himself who’s no longer content recounting his glory days. You’ll also see his wife Erin around the gym and his little daughter Kate crawling around soon. As a strong believer in the “get out of the gym” mentality he also enjoys mountain biking, skiing, snowboarding, wakeboarding, rock climbing, camping, fishing, cross country skiing, hiking, or anything else that gets him outside. SKeller has been crossfitting since late 2009, starting back home in the 717. She loves all things related to bacon, unicorns, kittens, squats, and coordinated gym outfits. Her Crossfit desire came from a background in Fire and EMS, and the physical demand it placed on her. She completed her L1 Certification October 2014. She hopes to compete more and get her athletes to join her. Claire began crossfitting in summer 2014 when she realized her dazzling career as part of an intramural frisbee dynasty was coming to a close and running late to class wasn’t going to cut it for cardio anymore. She grew up playing soccer but left organized sports behind in high school, and spent several years trying to find things to fill the fitness void: running, spin, exercise classes, intramural sports — the search was finally complete when she discovered the intensity, competition, and community of crossfit. She received her CF Level 1 in February 2016; you can find her around the gym failing to PR her squat clean, complaining, eating baby food, and bending herself in very uncomfortable looking ways. Most likely to cry during a WOD. Will run for cider. Angela Perez-Castle has been doing Crossfit since 2009. She completed her level one certification through the sponsorship of the Air Force. She was one of the first instructors to teach at the military affiliate CF Wright Patterson. She also coached at a private box Crossfit Complete in Oklahoma City. 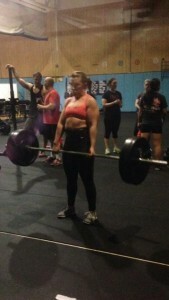 She loves Crossfit because it is a close knit community. You are not just part of a gym, you are part of a family of athletes that compete and support each other. Angela is also a certified CrossFit Gymnastics coach. Angela earned her Level 2 Trainer designation in 2016. Born in 1973 so even old people can do CrossFit. Happily married and blessed father of two, ran track in high school, joined a CrossFit box in 2011, CrossFit Level 1 trainer in 2015. Before drinking the CrossFit punch, Brett struggled with poor eating habits, an inconsistent exercise routine and a lack of motivation. Favorite movements are Olympic lifts. On occasion can pull out a muscle up or two. He enjoys working with people and helping them reach their fitness goals. 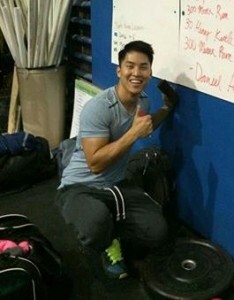 What he has learned from CrossFit is: Be consistent with attendance and keep track of meals and workouts. And, when considering body recomposition remember, 80% of the results we want come from nutrition, 20% from workouts. Field, FL. That fall, she received her Level 1 certification, followed shortly thereafter by her mobility cert. 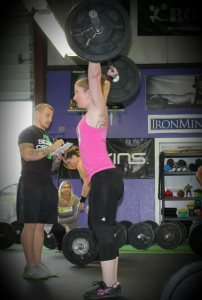 Jess left Florida in 2014 after running the Commando CrossFit affiliate for almost two years. Upon arriving at Hanscom AFB, she began coaching and has been a member of the gym since 2014. After a series of health struggles, battles with weight, cholesterol, 3 bulging discs in back along with arthritis the 25 miles a week of running and occasional strength training was only making things worse. A co-worker who had similar issues had immediate resolution by doing Crossfit. So after some skepticism He took to the box and immediately fell in love with the comradery, the challenge and the overall experience and after only 6 months was able to drop 100 points off his cholesterol 30lbs, and even strengthen his core to the point of little to no back pain. With this dramatic change he knew that he had to help others and the best way was get his level one in February 2015. Coach Derek loves Double Unders and Push Press and you can constantly find him attempting and failing at Muscle-Ups. JWall is an enthusiastic CrossFitter who immediately began spreading CrossFit cheer to everyone he met when he got fired up to Trainer status in May 2013. You can find him around the gym doing thrusters in jorts, making awkward noises on the foam rollers, flexing his quads for strangers or consistently failing Muscle-Ups. 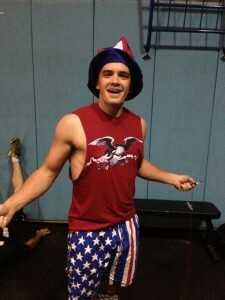 Jordan also holds the CrossFit Mobility Trainer certification. The “DANimal” has been CrossFitting since 2009. Dan was the first Head Coach of the HWTC until he deployed. 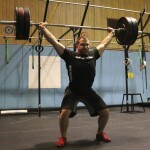 He is a USA Weightlifting Sports Performance Coach and holds trainer certificates in CF Powerlifting and CF Kettlebell. Ben’s fitness background includes bodybuilding and powerlifting. 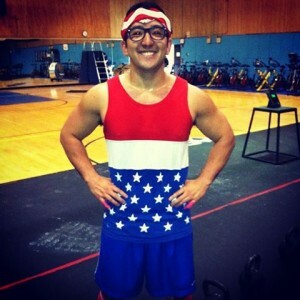 He was introduced to CrossFit in 2011 and was immediately hooked. He’s excited to work with the amazing HWTC training staff and to help the athletes evolve their confidence, achieve PRs, and master new skills. 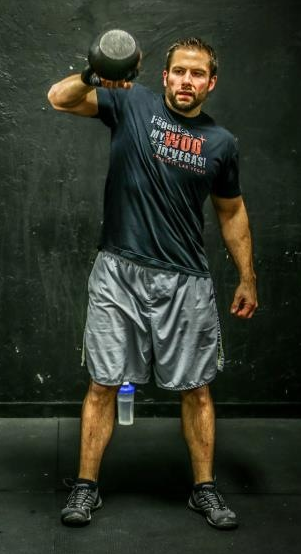 John started crossfitting in 2008 while stationed in Virginia with the Army. He wanted to find something that would challenge him mentally and physically, and after his first session at Crossfit Alexandria (later CF Outlaw), he was hooked. John later joined Trident CF where he aspired to be a coach but never got a chance to put his Level One Cert to use due to frequent TDY’s. He is known for his vast collection of CF t-shirts acquired over the years and is stoked to finally get a chance to coach. Zach has participated in CrossFit since June 2013 and attained his level 1 trainer certification in February 2014. He comes from an athletic background having wrestled for 4 years at the Air Force Academy. While participating in intercollegiate wrestling, he was exposed to in-depth Olympic weight lifting, plyometric workouts, and some skin infections (not an issue anymore). In post-college years, he has picked up running and gained coaching experience in high school and youth wrestling. Daryl is one of the orignal HWTC trainers and is currently the co-head Trainer of the HWTC. He is a level 2 CrossFit Trainer. Jade joins the Hanscom Warrior Training Center Team with a diverse background in basketball, volleyball, tennis and most recently endurance sports (half and full marathons). She started CrossFit at another box in November 2012 to complement her marathon training and has been addicted ever since. She received her CF Level 1 Certification in July 2013 and is excited about helping athletes reach their personal fitness goals. Rob comes to Warrior Training bringing a diverse fitness background to the gym. He is a former running coach, an instructor in Brazilian Jiu Jitsu, a sub 1:30 half-marathoner, and an MVP candidate in Boston’s Never Too Late basketball league. He has been doing CrossFit since 2011. Tipp started CrossFit a little over a year ago after piddling in the gym and taking tips from the “pros” long enough to realize they didn’t know what they were talking about. He received his level 1 certification in August 2013 and is taking the gymnastics course in March 2014. Tipp doesn’t have much of a background in anything specific, but he has a broad range of experience in many different sports and modalities. Typically you’ll find him somewhere on the rig making Jordan feel bad. 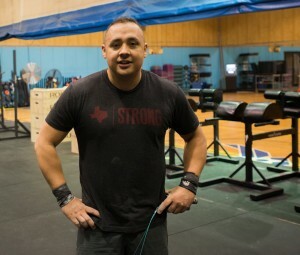 “Reyn-Bot” was the second Head Trainer at the Hanscom Warrior Training Center and is a former soccer and baseball athlete that began doing CrossFit in 2009 during Operation Iraqi Freedom. He has never stopped and is fired up to be teaching the Warrior Training methodology to the committed athletes that bring it to the gym every day. He enjoys wearing tanktops and spontaneous dance parties. 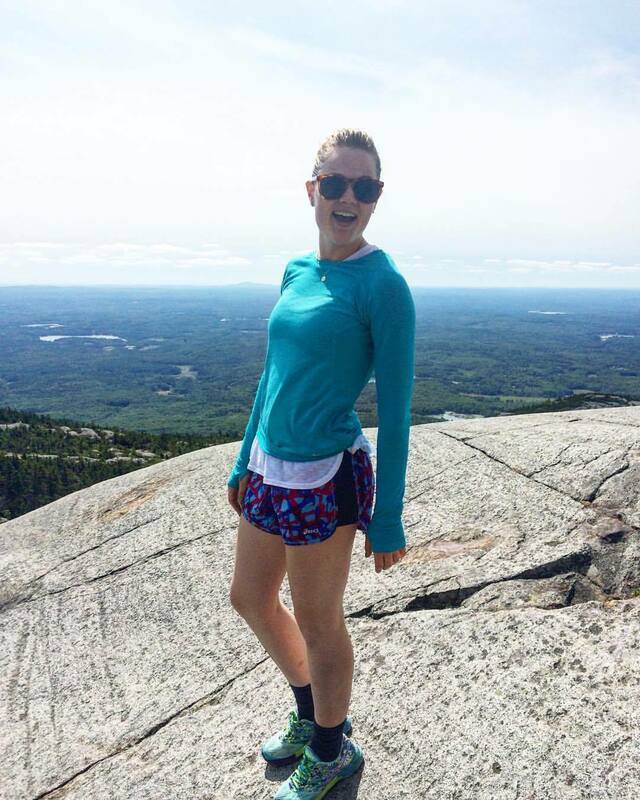 Courtney grew up as a soccer player and branched out into lacrosse, basketball, and running. Everything came together when she started CrossFit in June of 2010, and she ultimately became Level 1 certified in February 2013. She hopes to instill an enthusiasm and sense of fun towards functional fitness in every athlete she coaches, as well as a sense of accomplishment. Besides hitting heavy lifts, Courtney enjoys hiking with her dog, yoga, swimming, and stand-up paddle boarding for “active recovery”. 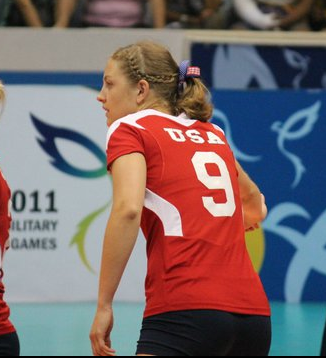 Michelle gew up playing multiple sports and eventually found her niche playing volleyball. She played collegiately at the US Air Force Academy where she learned proper lifting and plyometric techniques. Post college, she has played for the All Air Force, All Armed Forces and USAFE teams. Cheryl brings a wealth of fitness experience to the Hanscom Warrior Training Center. Prior to joining the gym she was an All-American Powerlifter and the 2008 Collegiate National Champion for Women’s 105 Weight Class. She has been doing CrossFit since 2009, is a CF Gymnastics Trainer and an Instructor at CrossFit Merrimack in Lowell, MA. Billy has been involved in cross-country running, jiu-jitsu, judo, swimming, water polo, and wrestling from a very young age. He was a collegiate wrestler at the US Air Force Academy where he learned proper Olympic lifting techniques to improve power and speed. He has experience with several common sport related injuries and is available to help develop individualized programs to meet the needs of the HWTC athletes. Michael grew up playing soccer and skiing. Outside of the HWTC, he chases his daughters for a WoD and also frequents CrossFit 603 in Hudson, NH. He began doing CrossFit 2011 while deployed in support of AEF. (Retired June 2013): Mal is a Level 8/9 competitive gymnast, a competitive cyclist, and a collegiate and nationally competitive Ironman triathlete. She brings her positive attitude, love of huskies and phenomenal handstand skills to the HWTC. She has been doing CrossFit since 2012 and is a CF Gymnastics Trainer. Dawn comes to the Warrior Training Center from a diverse background in martial arts, sports, and yoga. She was introduced to CrossFit in 2008 by her husband Eric and received her CF Level 1 in early 2013. 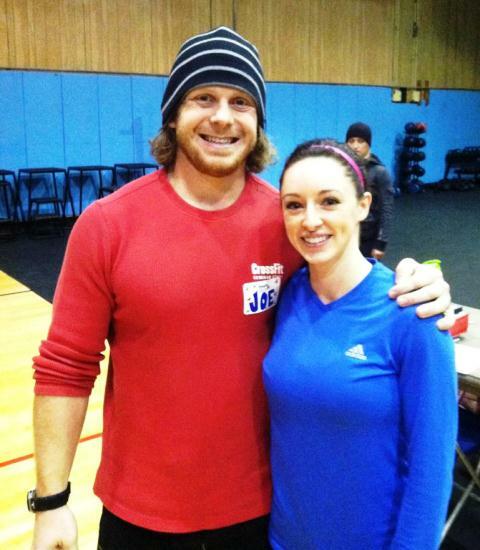 Dawn is a USA Weightlifting Sports Performance Coach, CF Gymnastics Trainer, and has attended the CF Defense seminar. In addition, she has been a dedicated yoga practioner for 15+ years and is a certified Yin Yoga Instructor. 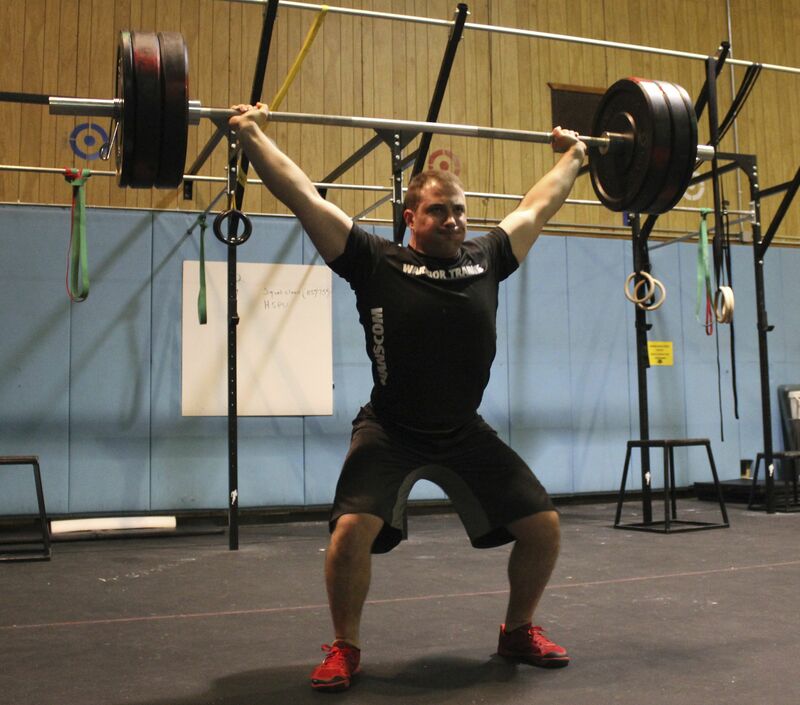 A dedicated CrossFitter since 2007, Eric has extensive athletic experience in track and field throwing events, wrestling, powerlifting and olympic weightlifting. He has coached at both youth and adult levels. Eric is certified as a USA Weightlifting Sports Performance Coach, CrossFit Strongman instructor, CrossFit Gymnastics instructor, and has attended the CrossFit Defense seminar. “Twinkletoes” brings his Arkansas charm to Warrior Training with experience playing basketball and video games, notably FIFA on PS3. He has experience coaching basketball and raising chickens. 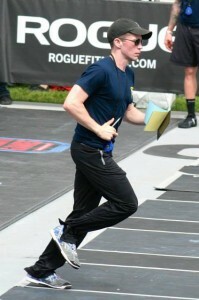 Chris was originally introduced to CrossFit in 2006 and has been an active member of another box since 2010. He has competed in the CrossFit Open in the last 2 years as well as The CrossFit First Responder Challenge which is hosted by Cynergy CrossFit in Hanson, MA. 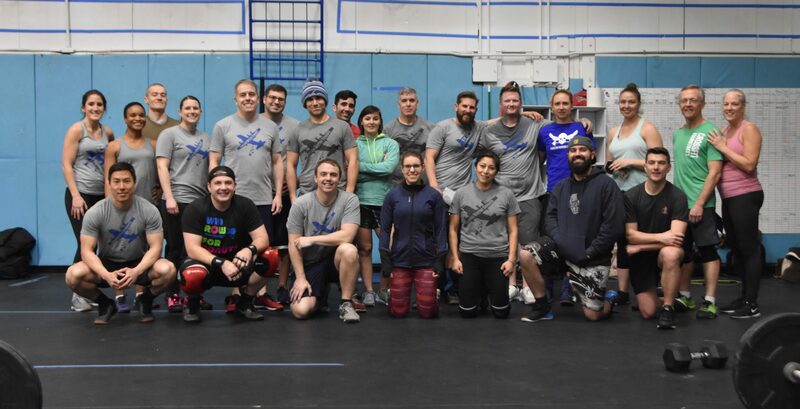 Chris received his CrossFit Level 1 Trainer Certificate in April 2012 and is extremely excited to be part of the Hanscom Warrior Training Program and helping athletes reach their fitness and health goals.